The amount of data we as individuals share online has increased year by year. From what we post on Facebook or tweet on Twitter gives a little insight into the type of person we are. Over the last few years, we have seen companies starting to take advantage of the numerous amount of data we share every day. For example, Google started sending me emails to remind me to leave feedback on the level of service from shops and businesses I had visited recently. Shopping Centres are now assessing what stores you visit to personalise messaging to match your interests. The “Big Data” era is upon us, yet Hotels have been slow to react to this change because trying to capture data from their guests without being intrusive has always been a puzzle. When I speak to Directors of Hotels, there is a belief that guests do not want to be disturbed, do not wish to fill in too many forms, clients do not like being asked too many questions about their stay. But what about if by finding out just a little bit more about our guests, we can provide that unique personalised service that we all want to deliver. Well, let’s start with the most complicated part first, yet one you can start straight away – Keeping up to date guest information on your CRM or PMS. Training ALL your staff to help build a strong profile of your clients is paramount. From dates of birthdays to allergies, this is vital to avoid asking the same questions everytime your regular guests stay with you. Active communication between departments is key to complete guest profiles. Simple I know, but so many hotels miss this part out. How many hotels have sent you a birthday greeting? remembered that you had a nut allergy?, or a Thank you gift for staying 5 or more times at your hotel? These are little details that say a lot to a guest and can make all the difference as well as helping to build a direct relation with the hotel instead of always booking your hotel on their favourite OTA! Now, that the hard part is out the way, now onto the easy part – Using Technology to capture data. 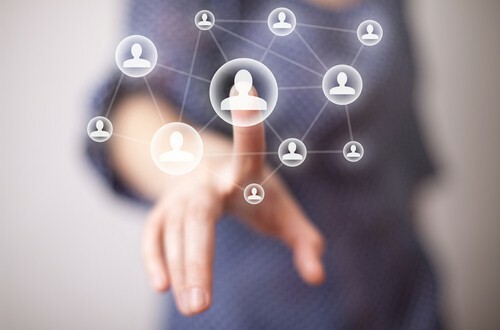 You can pinpoint where people connect, so if you are hosting a conference, you will be able to segment between conference visitors, wedding invitees and in-house guests to personalise messaging. Instant Notifications of any events taking place that evening straight to those that are connected online to your hotel. Find out how your visitors react due to different weather conditions as you can see where in your hotel they are connecting which is correlated with the actual weather on the day. Building a marketing database, increasing your social media fans and informing your guests of significant events taking place while they are at your hotel are powerful tools. Social Wifi also connects into to your existing infrastructure so an extremely affordable way to generate Revenue and guest data which could come in handy, especially if you are currently in need of justifying the investment in improving the speed of your WIFI, a current dilemma for hotels & resorts. As an hotelier, we are always thinking about ways to improve what we offer and deliver what our guests want. We want to find out but at the same time, we do not wish to be intrusive during their stay with us. A unique and relatively new way for hotels to reach out to the clients is via Apps that can take advantage of either GPS or IBeacon technology. Say your client was entering your garden restaurant, the app will automatically send a notification to your customer which could ask their opinion, advise them of any special offers or what is the dish of the day. We are seeing more and more each day; guests are using concierge apps to ask for extra pillows, room service or book taxis. All of this data is stored; so you can gain a pattern of your regular guests to determine the everyday needs and wants so you have them ready for their next stay without even asking! Award-winning software for booking engines can now source so much information, from lead times to average nights based on searches. From which page did they get to your booking engine or what was the weather like on the day they booked. All fundamental questions so you can understand your Web visitors better. By understanding what they are looking for, can enable you to promote the right deals and offers at the right time and obtain optimal rates on bookings. By being smarter in the way you capture data, which you can then use to the benefit of your guests by providing a personalised service that will set you apart from the rest. Guests share data all the time, Now it’s your turn to start to using it to enhance their experience with you and, of course, increase your overall revenue performance. Require a strategy that enables you to understand better your guests whilst improving your hotels or resorts profitability? Hotelient can help, email: info@hotelient.net to start the conversation.